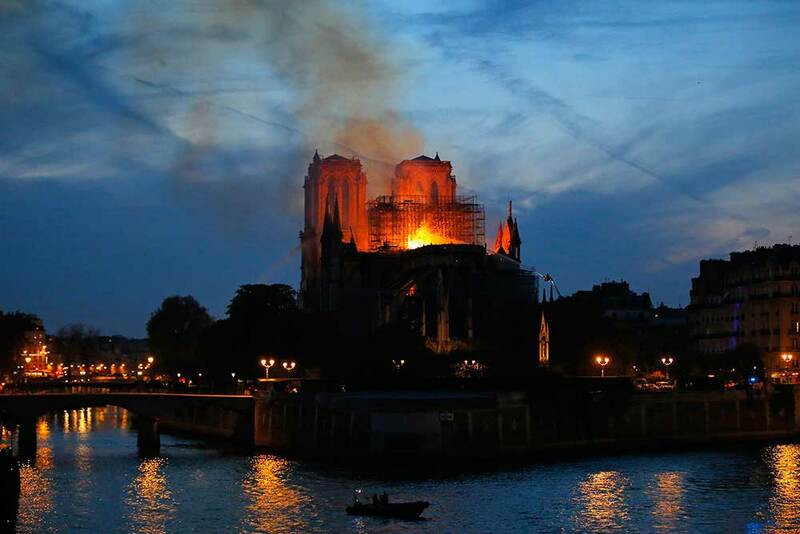 A raging fire tore through Notre-Dame Cathedral in central Paris, sending the spire and roof crashing to the ground and wiping out centuries of priceless heritage central to French culture and history. 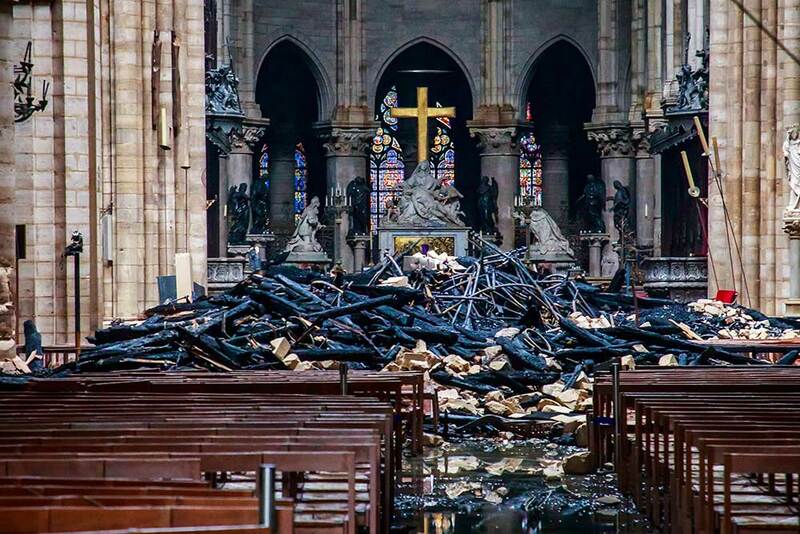 French President Emmanuel Macron vowed to rebuild the cathedral described as the soul of the nation and expressed relief that "the worst had been avoided" in a blaze that had at one point threatened the entire edifice. An image made available by Gigarama.ru shows an aerial shot of the fire damage to Notre Dame cathedral in Paris. 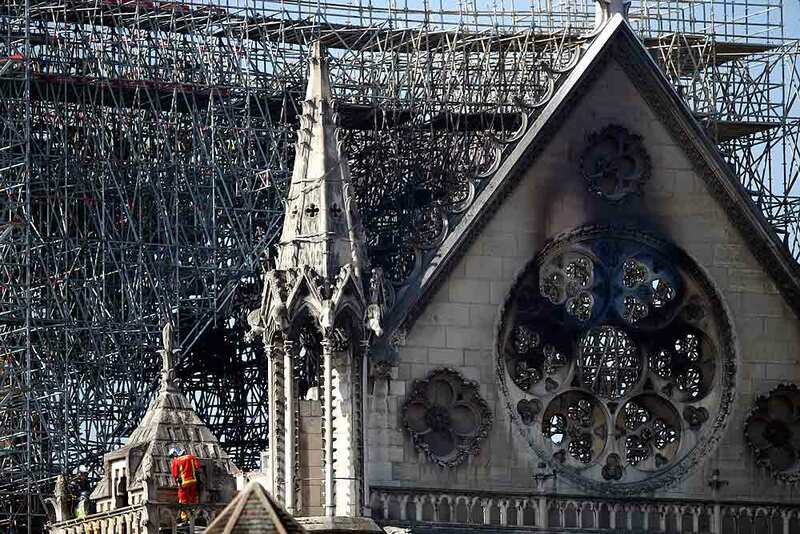 Nearly $1 billion has already poured in from ordinary worshippers and high-powered magnates around the world to restore Notre Dame Cathedral in Paris after it was damaged in a massive fire on Monday. A fire fighter makes his way on a balcony of Notre Dame cathedral in Paris. 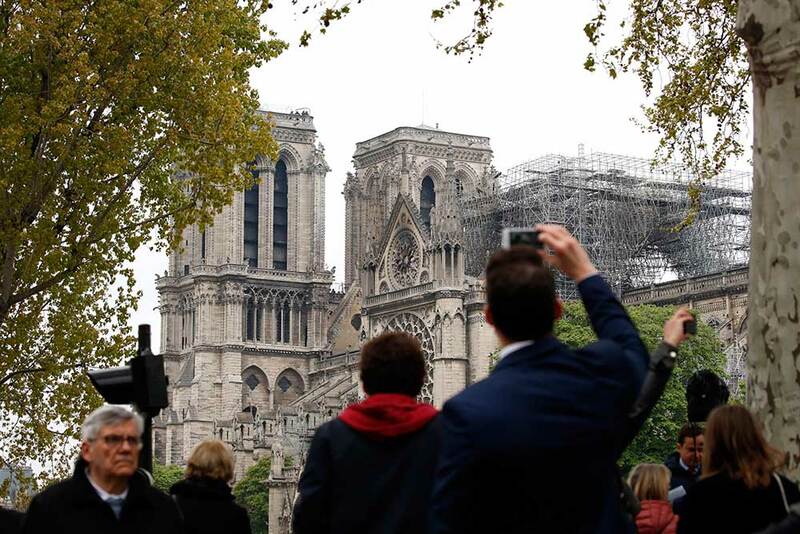 French President Emmanuel Macron ratcheted up the pressure by setting a five-year deadline to restore the 12th-century landmark. 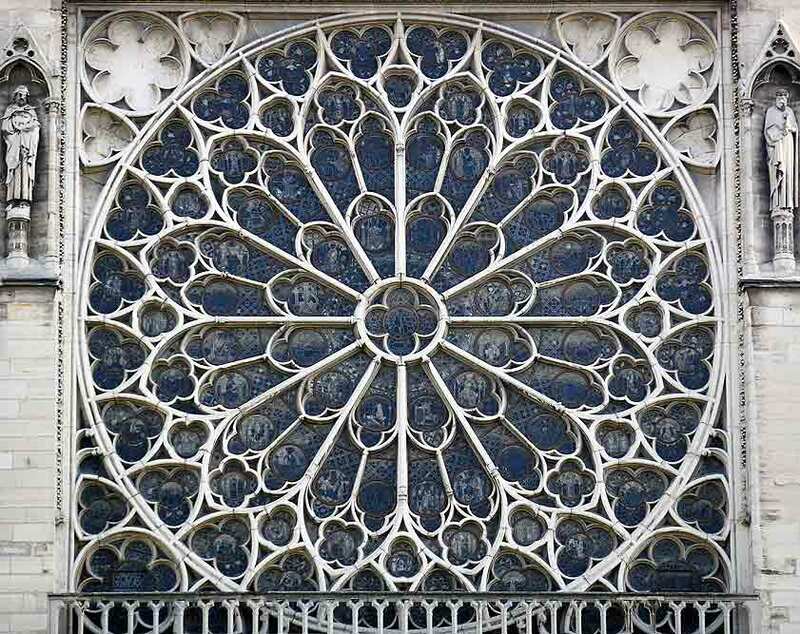 One of the iconic stained glass windows of the Notre Dame Cathedral in Paris. A fire fighter uses a hose as Notre Dame cathedral is burning in Paris. 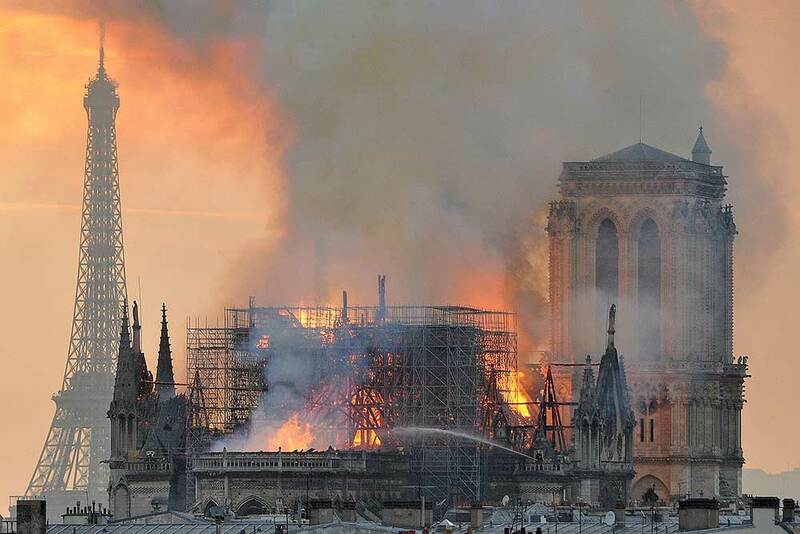 A catastrophic fire engulfed the upper eaches of Paris' soaring Notre Dame Cathedral as it was undergoing renovations, threatening one of the greatest architectural treasures of the Western world as tourists and Parisians looked on aghast from the streets below. 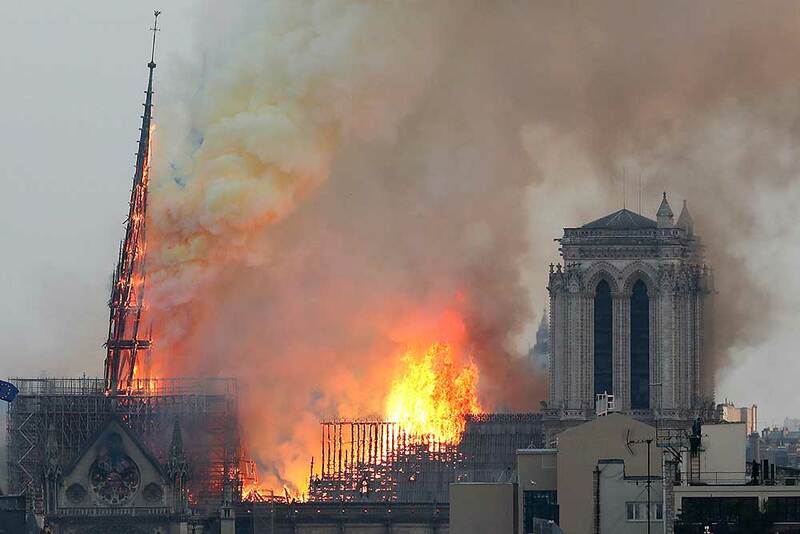 Flames and smoke rise from Notre Dame cathedral as it burns in Paris. 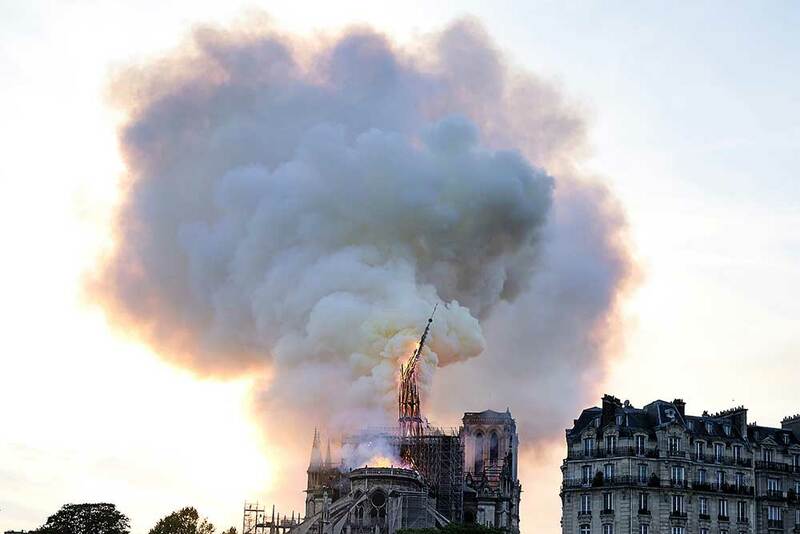 Massive plumes of yellow brown smoke is filling the air above Notre Dame Cathedral and ash is falling on tourists and others around the island that marks the center of Paris. 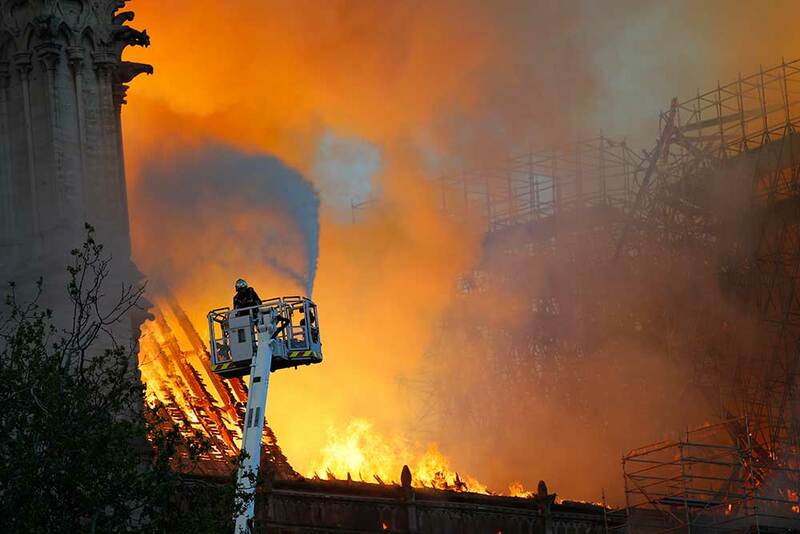 Firefighters use hoses as Notre Dame cathedral burns in Paris. 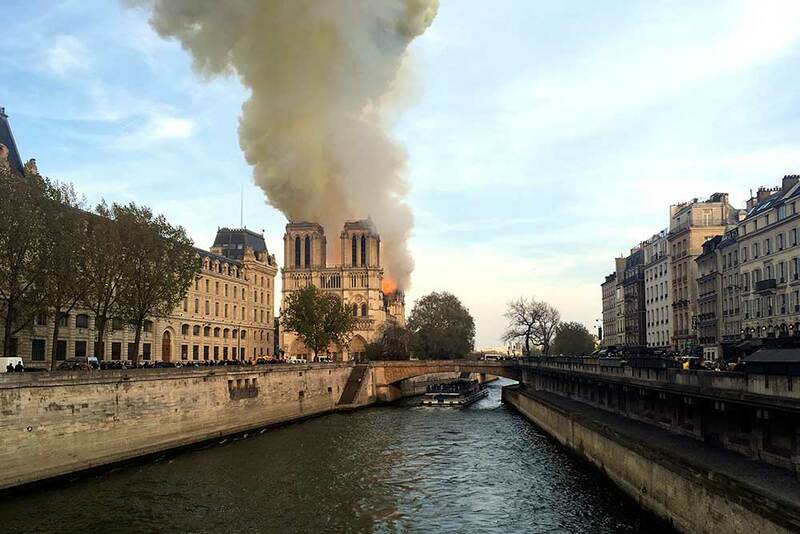 A catastrophic fire engulfed the upper reaches of Paris' soaring Notre Dame Cathedral as it was undergoing renovations, threatening one of the greatest architectural treasures of the Western world as tourists and Parisians looked on aghast from the streets below. 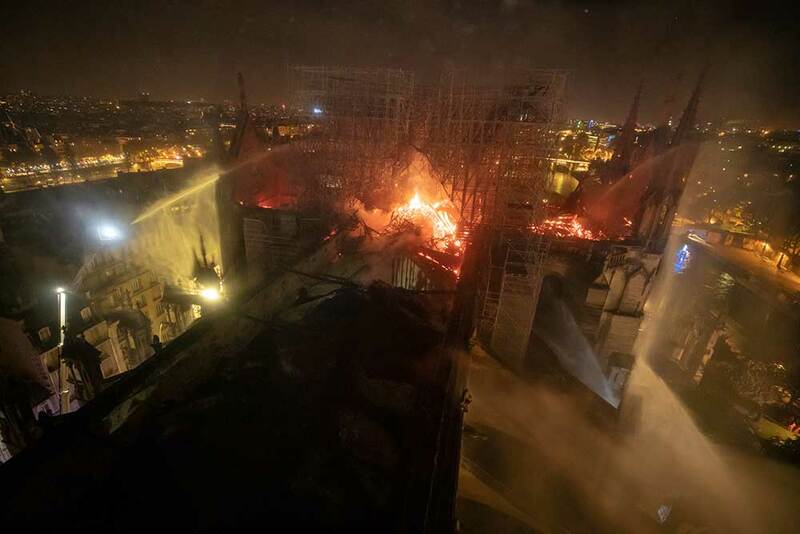 Firefighters tackle the blaze as flames and smoke rise from Notre Dame cathedral as it burns in Paris. 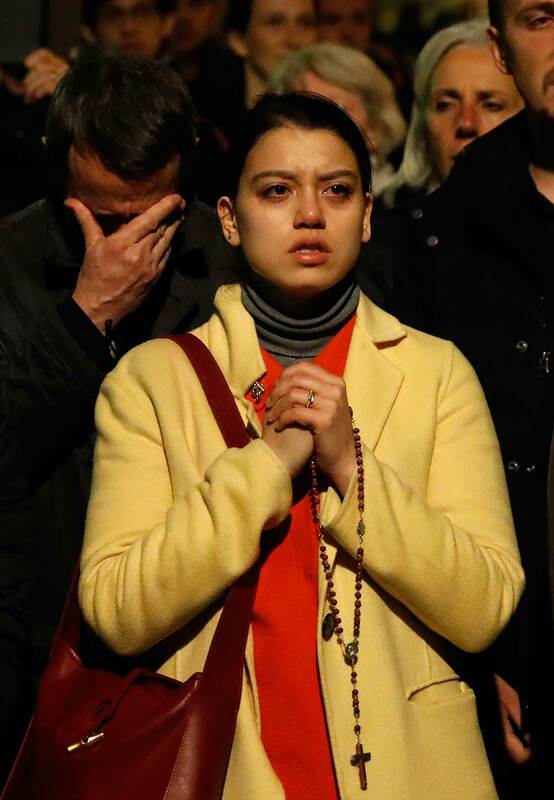 People pray as Notre Dame cathedral is burning in Paris. 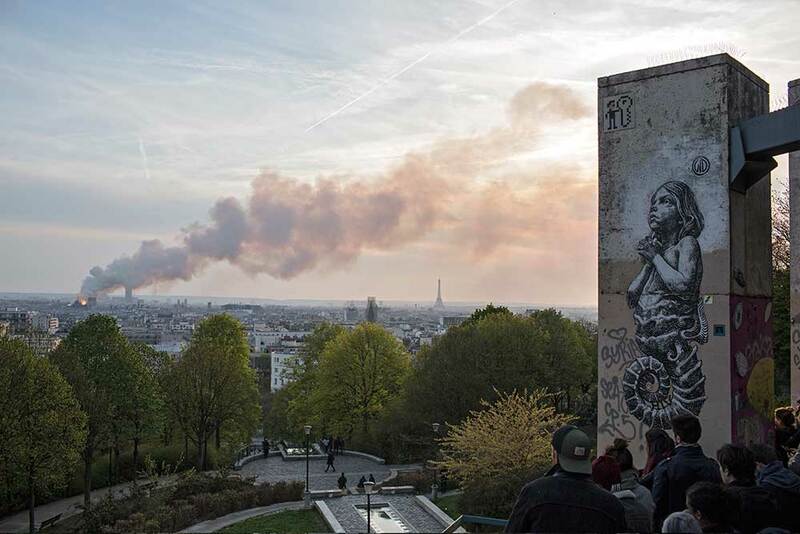 People watch as flames and smoke rise from Notre Dame cathedral as it burns in Paris. 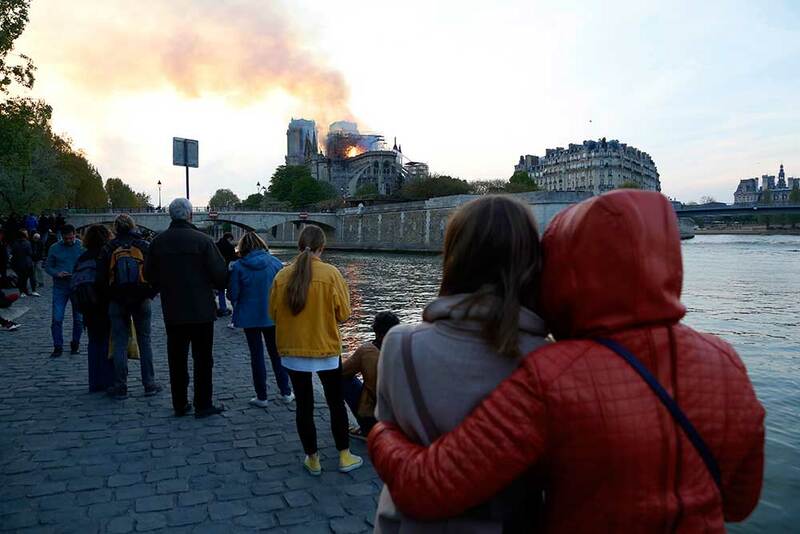 People watch Notre Dame cathedral burning from the Seine river banks in Paris. 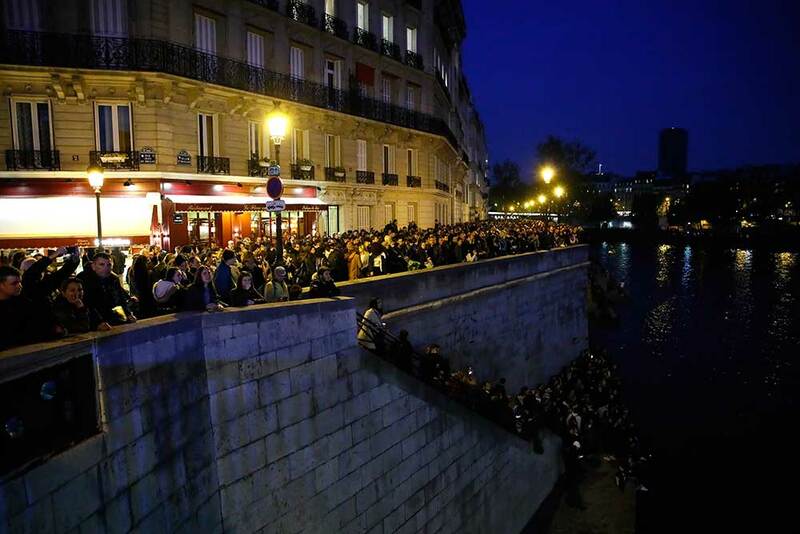 People watch Notre Dame cathedral burning in Paris. 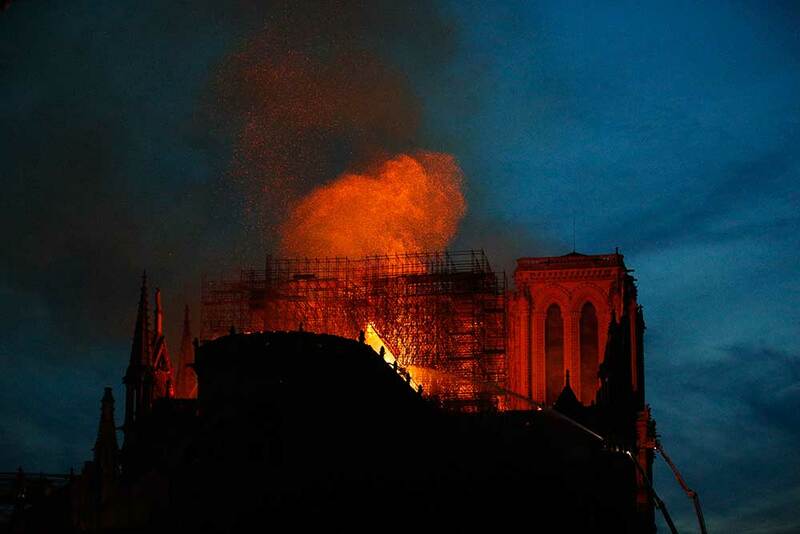 Flames rise from Notre Dame cathedral as it burns in Paris. 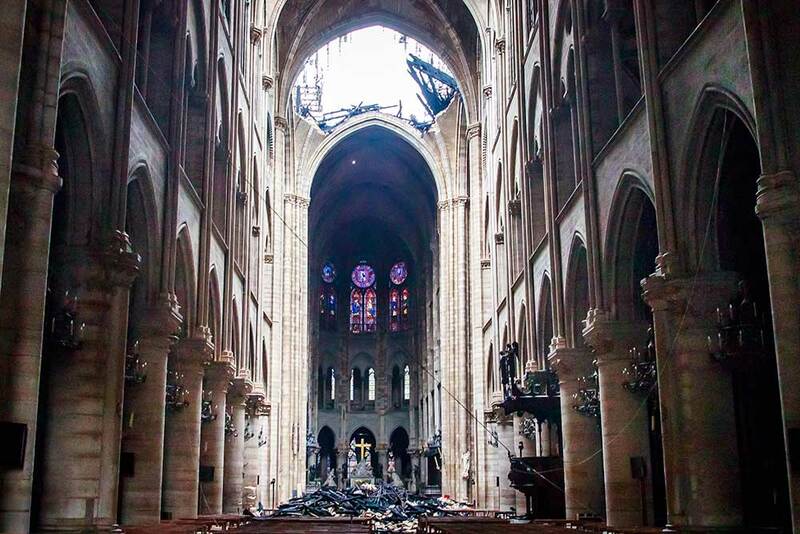 A view from inside Notre Dame cathedral during the fire in Paris. 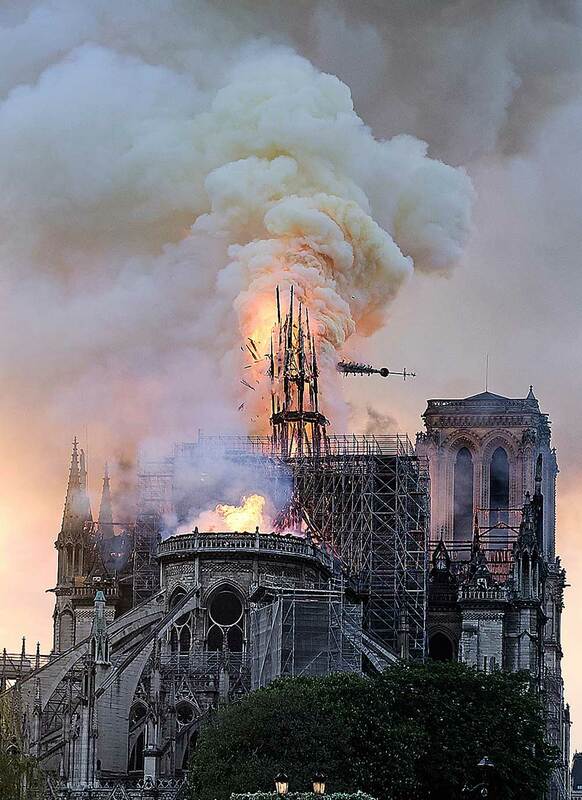 Flames and smoke rise as the spire on Notre Dame cathedral collapses in Paris. 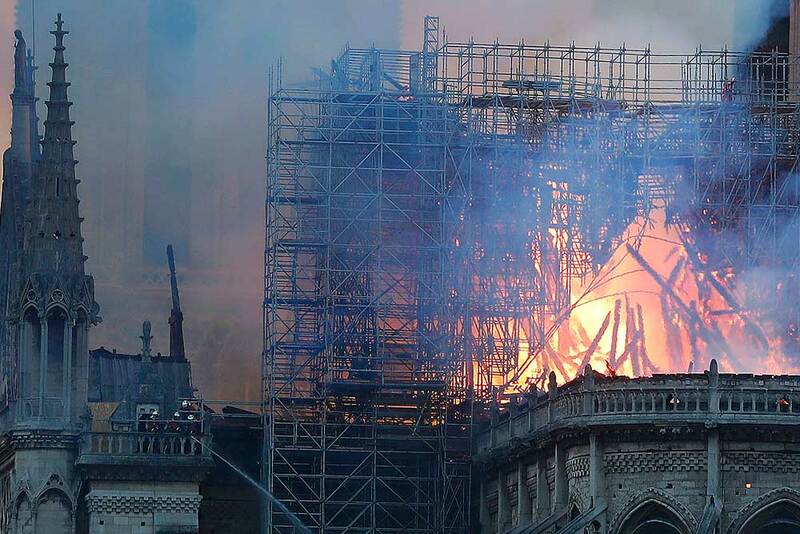 Notre Dame cathedral is burning in Paris. 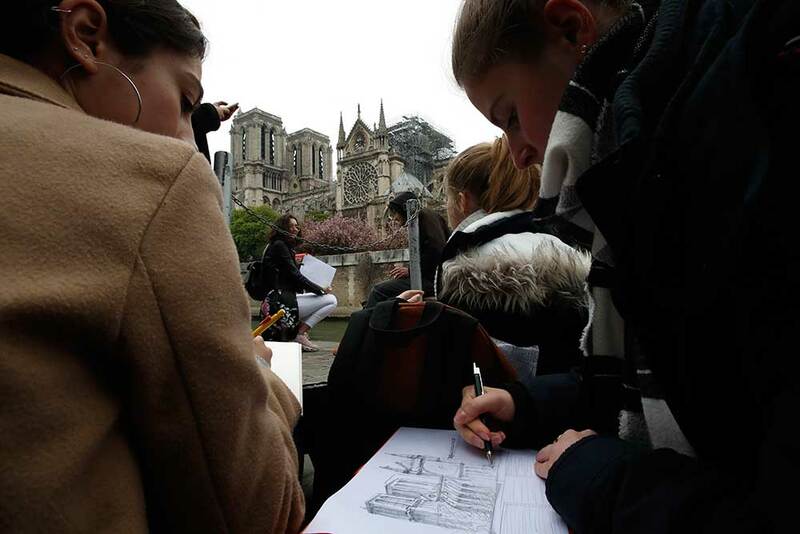 Massive plumes of yellow brown smoke is filling the air above Notre Dame Cathedral and ash is falling on tourists and others around the island that marks the center of Paris. Firefighters operate on the Notre Dame cathedral after the fire in Paris. A woman sits in despair near the Notre Dame cathedral after the fire in Paris. 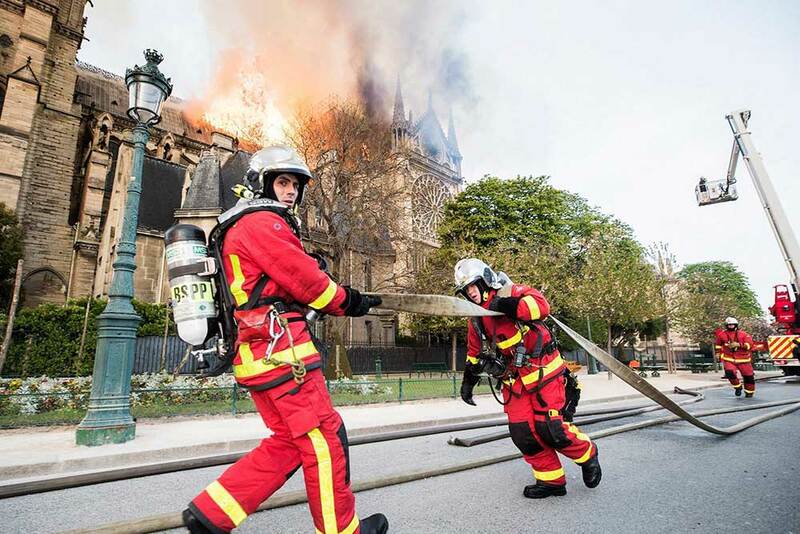 This photo provided by the Paris Fire Brigade shows fire fighters pulling a hose by the burning Notre Dame cathedral. 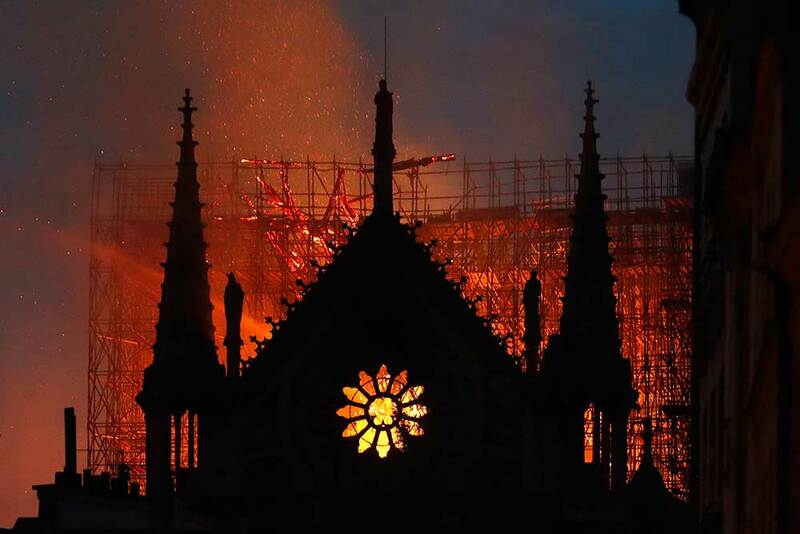 Experts assessed the blackened shell of Paris' iconic Notre Dame Tuesday morning to establish next steps to save what remains after a devastating fire destroyed much of the cathedral that had survived almost 900 years of history. 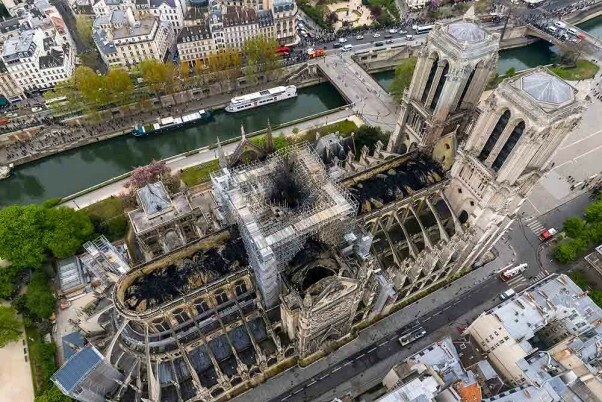 This aerial photo providedby the Paris Fire Brigade shows Notre Dame cathedral burning. 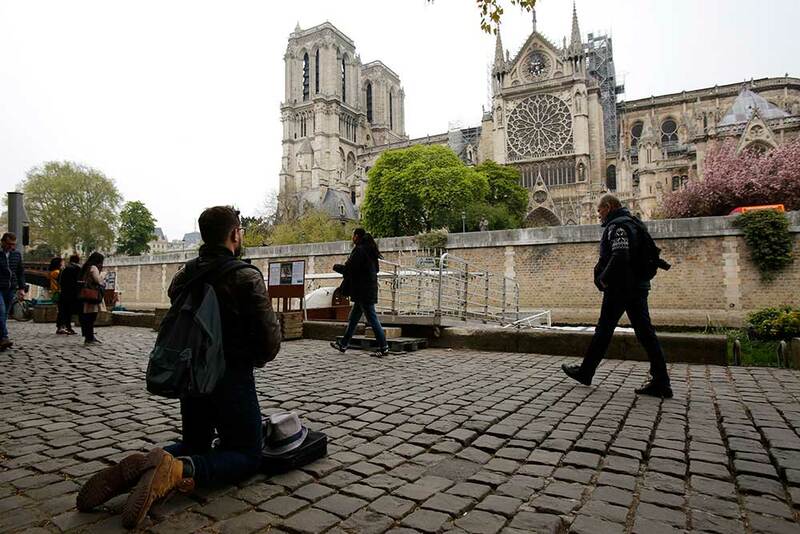 Man kneels as people came to watch and photograph the Notre Dame cathedral after the fire in Paris. 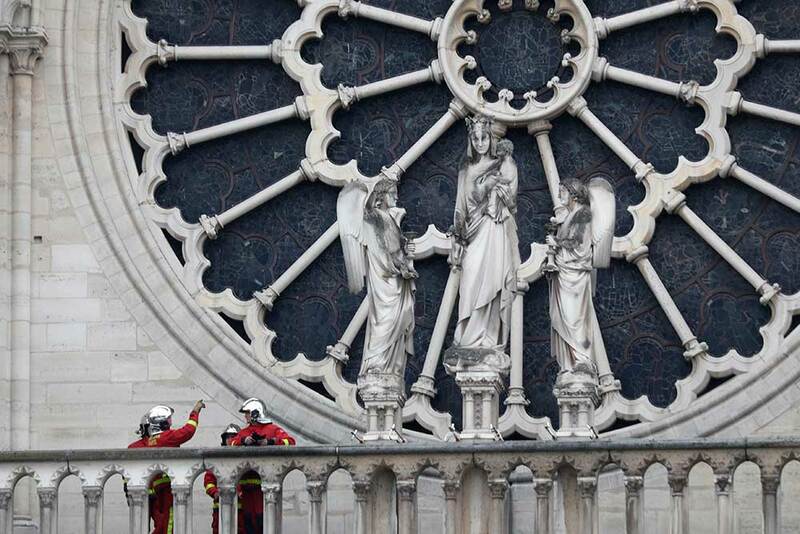 Firefighters talk near the rose window of Notre Dame cathedral in Paris. 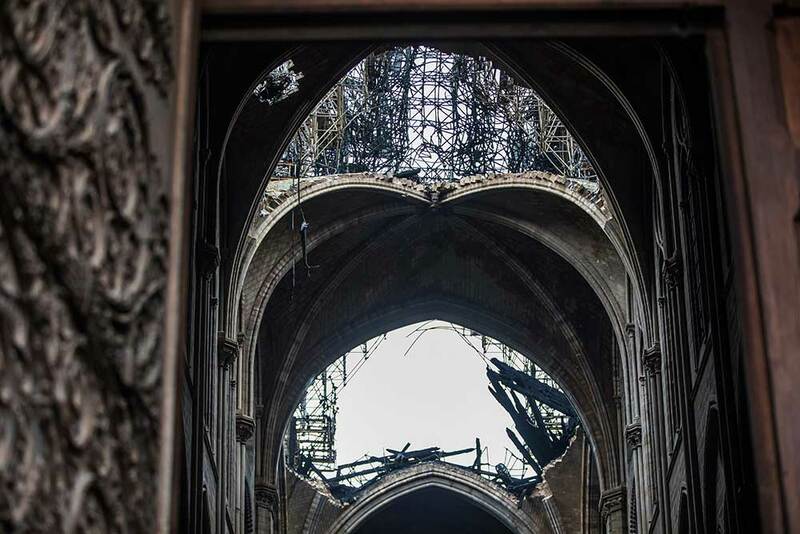 Experts assessed the blackened shell of Paris' iconic Notre Dame Tuesday morning to establish next steps to save what remains after a devastating fire destroyed much of the cathedral that had survived almost 900 years of history. 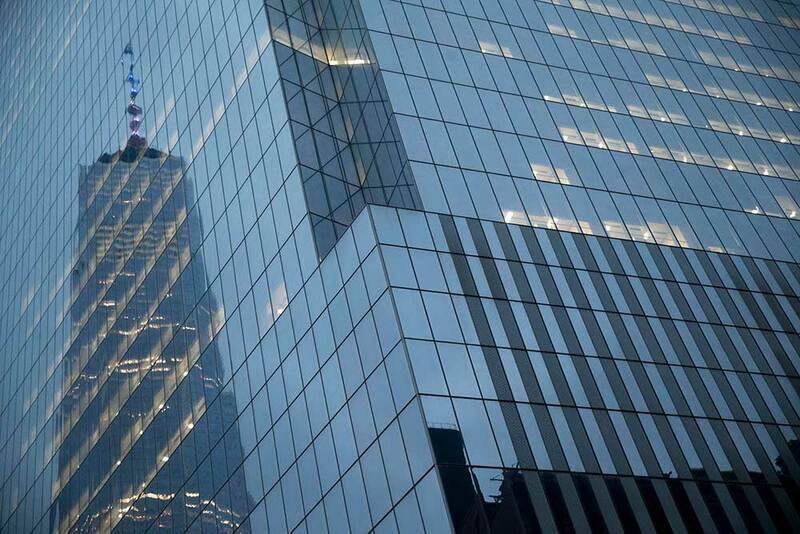 The lit spire of One World Trade Center is seen reflected on the Four World Trade Center building in New York. New York Governor Andrew M. Cuomo has directed that One World Trade Center's spire be lighted in the colors of the French flag in solidarity with the people of France and the Catholic community worldwide. 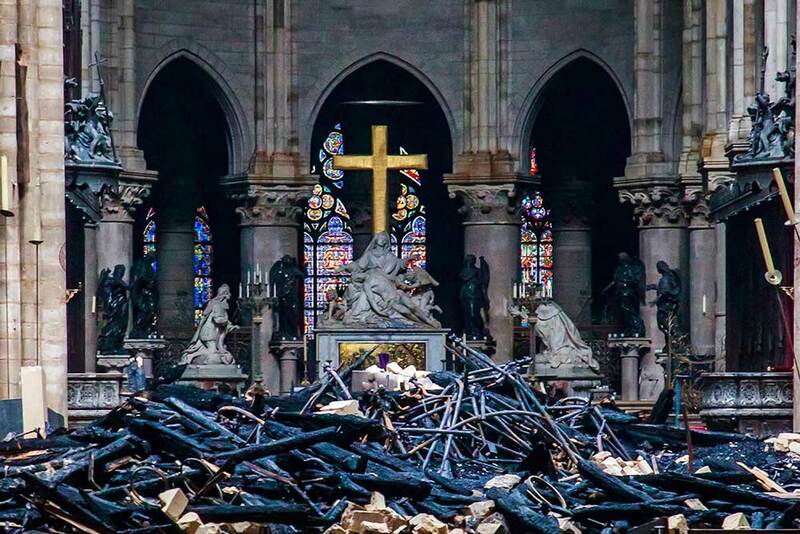 Debris are seen inside Notre Dame cathedral in Paris. 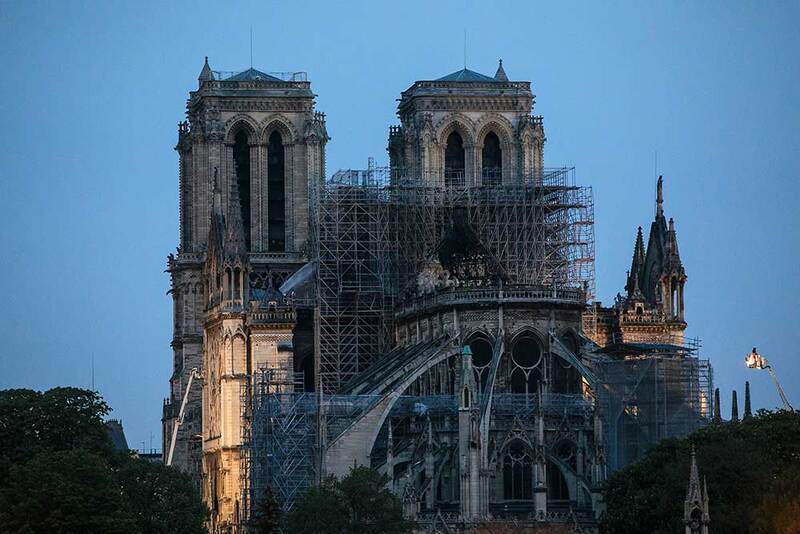 Firefighters declared success Tuesday in a more than 12-hour battle to extinguish an inferno engulfing Paris' iconic Notre Dame cathedral that claimed its spire and roof, but spared its bell towers and the purported Crown of Christ. 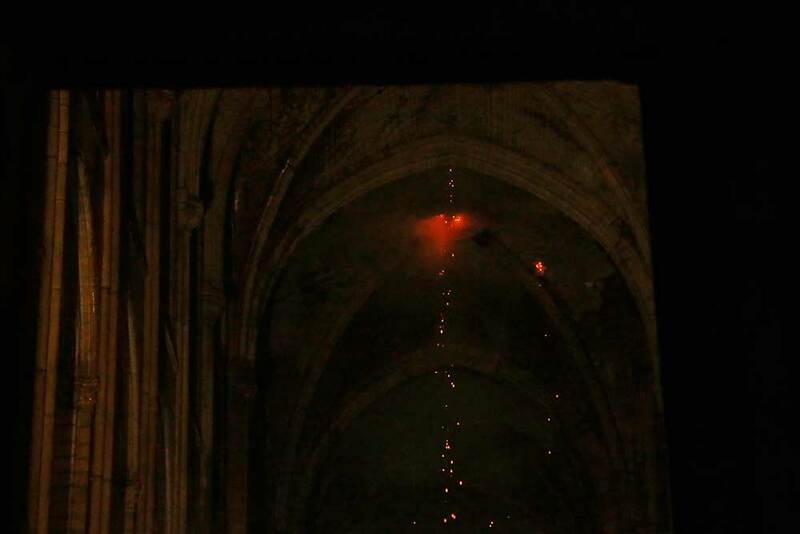 A hole is seen in the dome inside Notre Dame cathedral in Paris.